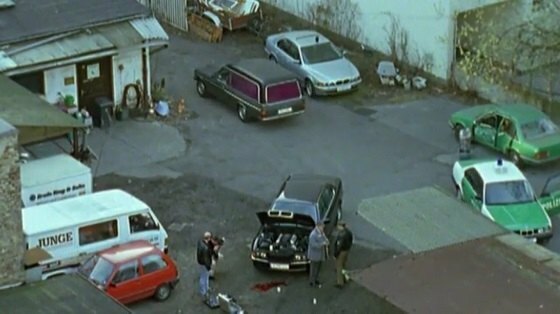 IMCDb.org: Mercedes-Benz Bestattungswagen Stolle [W123] in "Wolffs Revier, 1992-2006"
W123-based, but who was the coachbuilder? Pollmann/Bremen? No, that's a conversion by Stolle of Hannover.